“Art is something that seemingly lets us see the ‘impossible depth of objects’ “. This exhibition of international artists from Germany, France, Canada, Macedonia and the UK examines how we see the world through objects, and how objects act upon us. The show takes the anthropologist of science Bruno Latour’s idea of how objects interact and act on the world as its starting point – an idea he has labelled “interobjectivity”. 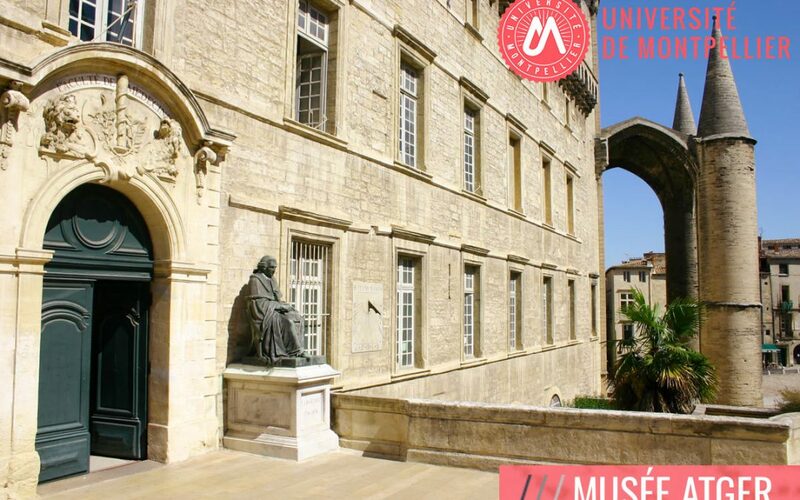 The exhibition is staged in the historic buildings of Montpellier University’s original libraries, and draws on three hundred years of collecting by the institution. Montpellier was one of the first universities in the world to pioneer modern medical sciences, and this exhibition pairs eleven artists with objects from its extraordinary collections of early-modern medical artefacts, natural history collections – and European Old Master drawings. Accordingly the exhibition provides a unique chance to view seldom-seen works by some of the most celebrated artists of all time, including Breughel and Tiepolo. The result is an experiment in what anthropologist Arjun Appadurai has called “the social lives of objects”. It includes, for example, one of the very first independent drawings of landscape by Annibale Carracci, shown alongside a photorealist image of an imagined future landscape, covered with four billion computer-created crystals, sculpted digitally: one for every alternate species on the planet. Created in partnership with Montpellier University, Newcastle University, Ecole Supérieure des Beaux-Arts de Montpellier Agglomération, and La Panacée: Centre de culture contemporaine, Montpellier.